As in previous years, Byron Bay was treated to a wealth of authors, screen writers, poets, journalists, political commentators, comedians and adventurers, sharing their stories at the Byron Bay Writers Festival for three days in early August. This year we heard from former Greens leader Bob Brown, young solo sailor Jessica Watson and comedienne Fiona O’Loughlin among the many authors presenting panel discussions under the five marquees from the 3rd to the 5th of August. In addition to the daily programs there were book launches at the Lakehouse with David Lovejoy and Mungo MacCallum on Friday afternoon and Ed Catterton and Jane Meredith on Sunday afternoon. A Feature Event on Friday night was Stand Up Comedy at the Byron Community Centre where a panel discussion on Australia’s political future was held on Saturday night. Sixties soul music fans enjoyed the film Sapphires at the Dendy Cinema on Saturday evening, a story about four young women from an Aboriginal mission who left their country music roots to sing soul music for the troops in Vietnam. Friday’s literary lunch discussion, called Lawyers and murderers: sharp legal mind turns to crime fiction, whet the appetite leading up to literary dinners on Friday, Words the Matter: The daily news and investigative reporting, and Saturday, Australian literary treasures. A variety of intriguing workshops were also on offer, taking place Monday through Thursday at venues around Byron. Festival goers heard terrifying stories of survival from cyclone Tracy to war zones, and how to cook your way to salvation. It’s was all on at North Byron Events at the beach end of Bayshore Drive in the Arts and Industrial Estate. 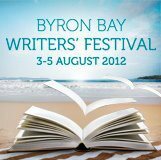 See www.byronbaywritersfestival.com.au for more information.